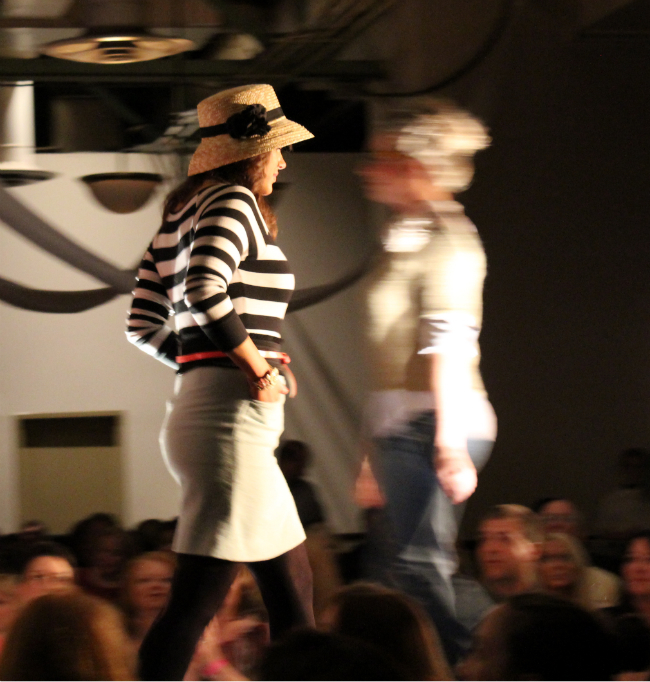 Last Thursday, I hit up the Good Style Fashion show with my friend Kimberly. 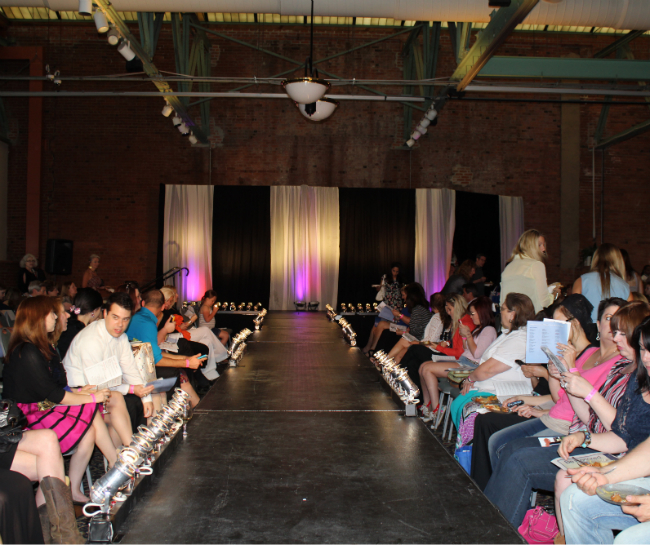 The show featured local bloggers who designed collections from Goodwill pieces. The looks ranged from every day wear to those inspired by an exotic Moroccan holiday. 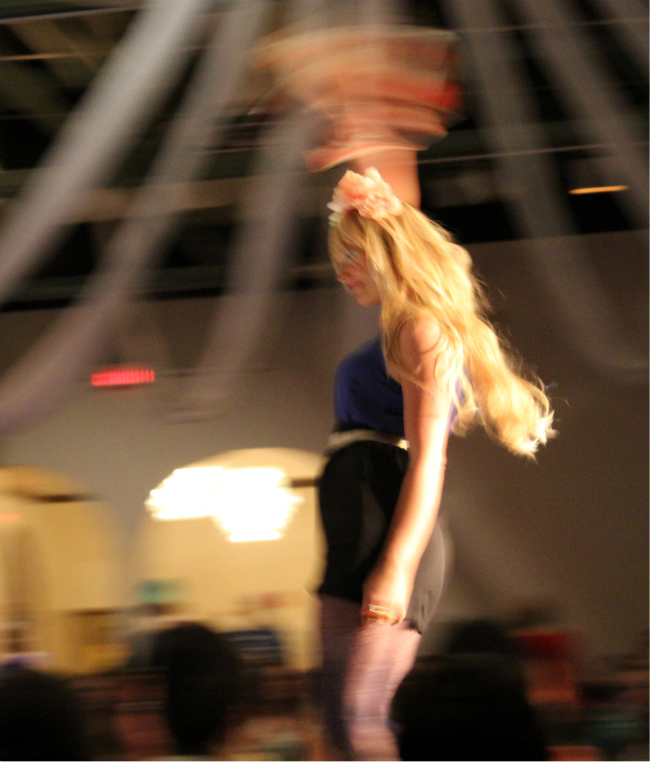 Not only did I go for the fashion, but my gorgeous friend Jaclyn modeled in the show and I wasn't about to miss that. It was amazing to see how these bloggers or better yet, designers, constructed cohesive looks only using thrifted finds from Goodwill. 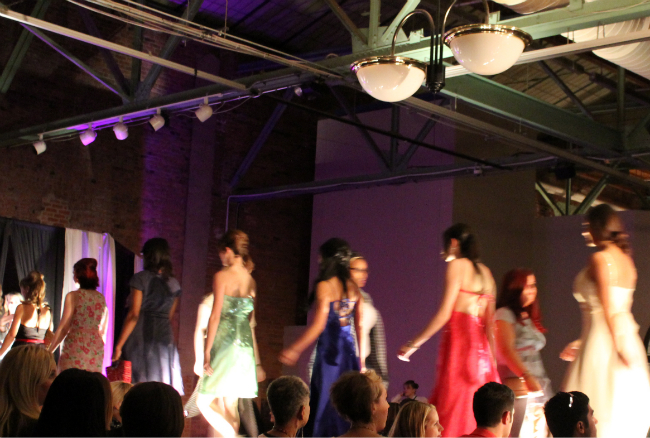 It was inspiring to see all the creativity and passion put on by these ladies and it makes me want to pay a visit to my local Goodwill store. Immediately. 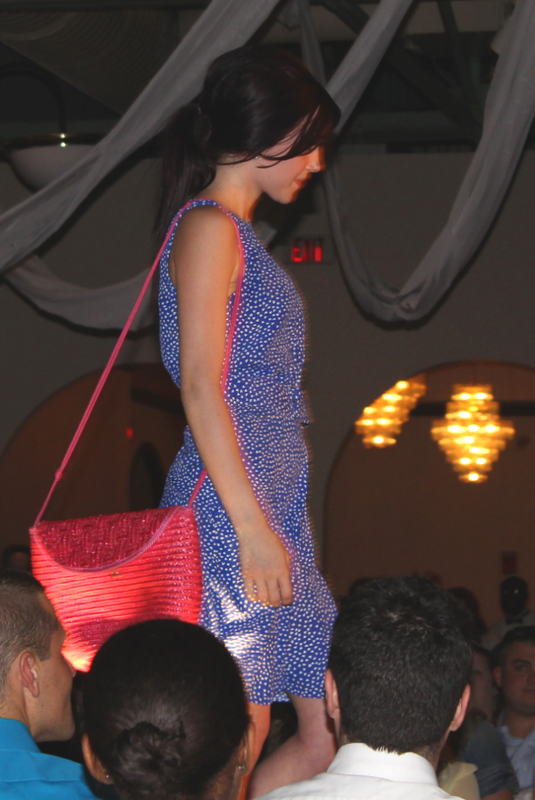 Jaclyn wearing one of the looks from "Moroccan Holiday" by Dina. Total cost of this look: $10. 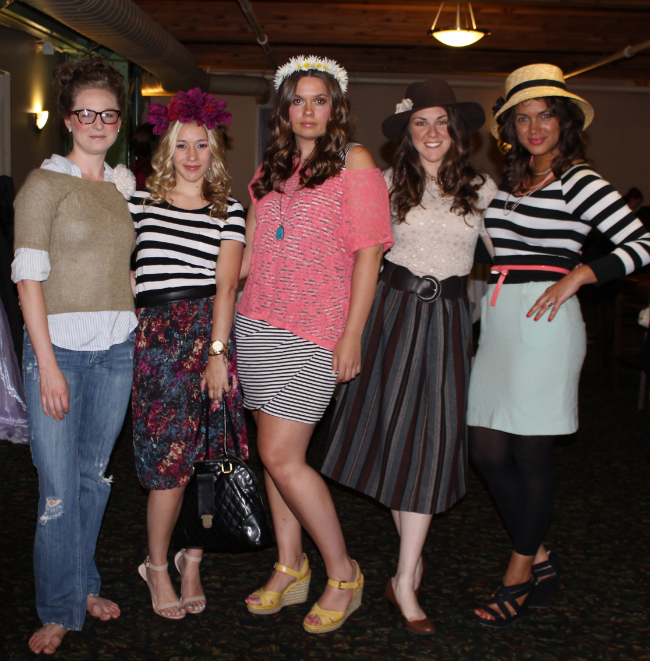 Backstage with the models from "Stripes and Florals" by Rachel Breece-Stith. The stripe + floral combinations are absolute perfection. I love this maxi skirt + embellished bikini top by Dina from "Moroccan Holiday". Total cost: $10. You must be kidding. Pretty Woman never looked so good. This is one of my favorite looks of the night. 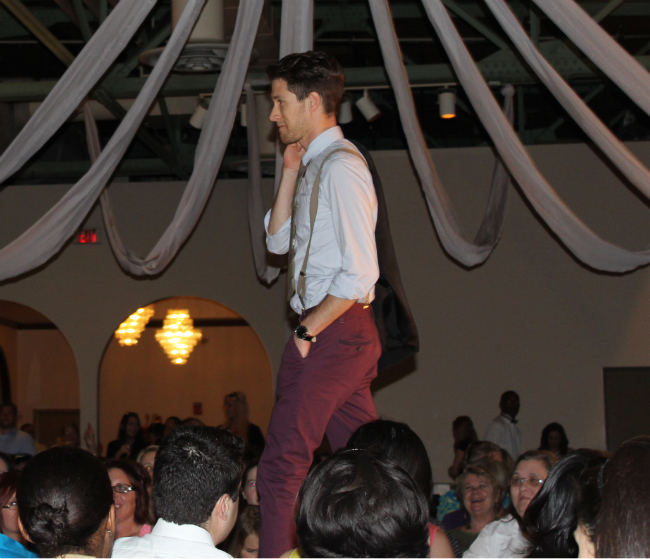 You can't go wrong with a man in suspenders. I can't get enough of this mint skirt + striped top. Whimsical photo from the "Stripes + Florals" collection. Check out the floral crowns on these girls by Sarah. So gorgeous. 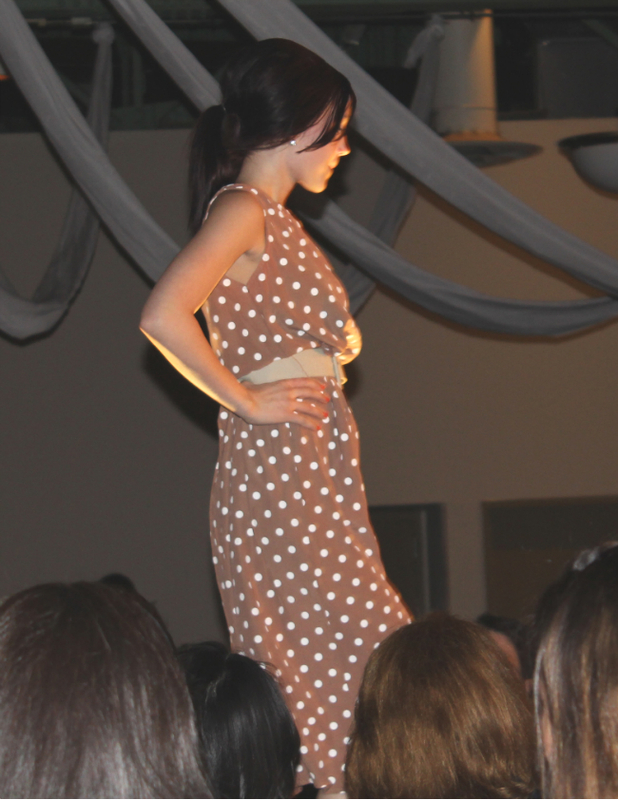 Dina's dress is also from Goodwill. Can I have that? 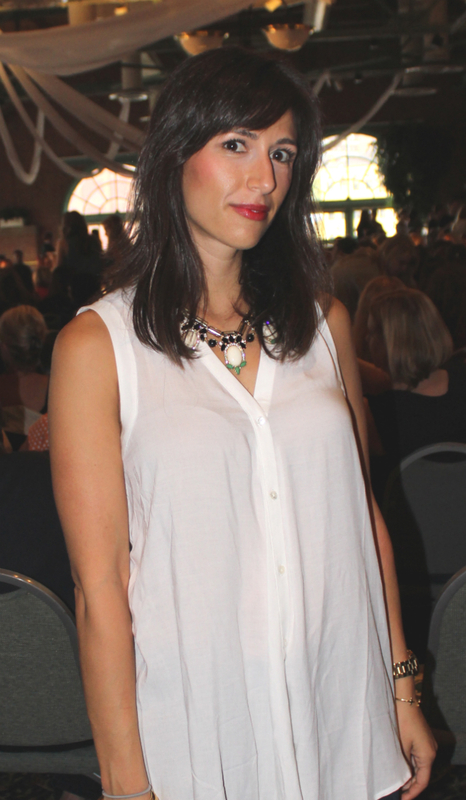 I wore my favorite new necklace (similar) from Furbish Studio + Anthropologie blouse to the show. When is the next show?! This looked AMAZING! I would love to go to the next one! What a fantastic idea and a great way to get bloggers together. Love! Becky thanks for sharing my collection! It was such a great time! Are you going to the Noto show? You took some really great photos! I was sitting further back, so mine aren't so nice. Thanks for sharing! Thanks for capturing the night and stopping by backstage. I borrowed a couple of your photos and linked back to this post. You look classy as always!